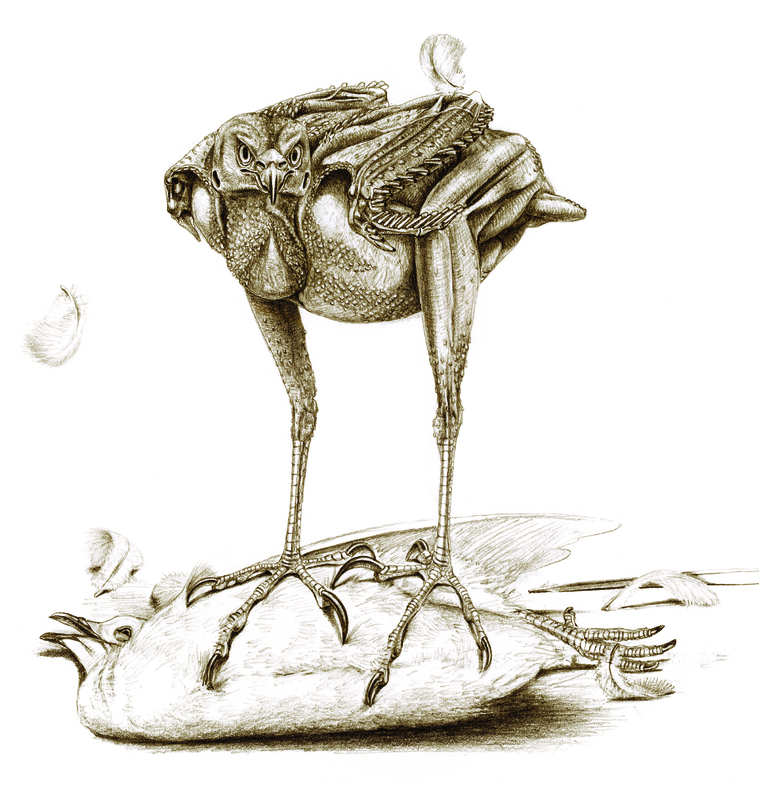 Birds of an Unfeather Are So Clever: A Review | What's In John's Freezer? 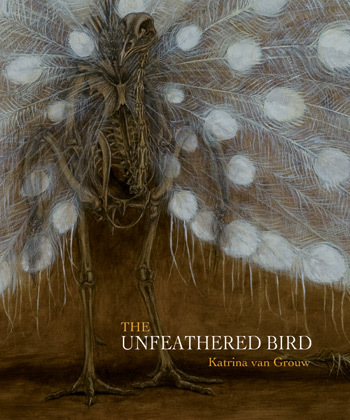 The Unfeathered Bird book by Katrina van Grouw proclaims immediately in its Introduction that it “is not an anatomy of birds.” True– it is far more than that, and it would be a shame if it had just been a dry, technical avian osteology reference book. 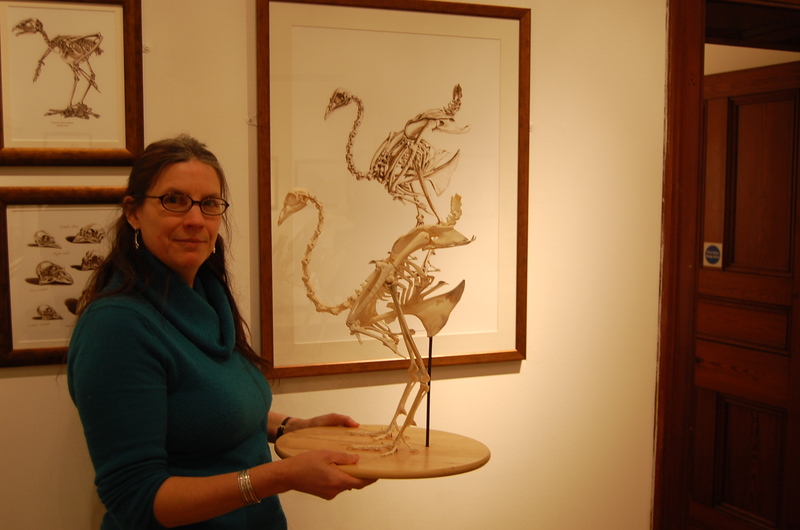 It is a unique blend of art and science- particularly avian anatomy, evolution, taxonomy, natural history and more. The Unfeathered Bird is written for a general audience; birders/twitchers or just natural history buffs would be ideal targets of its unfettered passion for all things avian. A 12-year-old who is very keen on animals could enjoy it, and it may ignite the flames of ornithological excitement in many young or older readers. I am glad it was not called “The Naked Bird” as that would have caused some serious misconceptions (badum-tish!). The book is dripping with illustrations (at least one every two pages, often more). 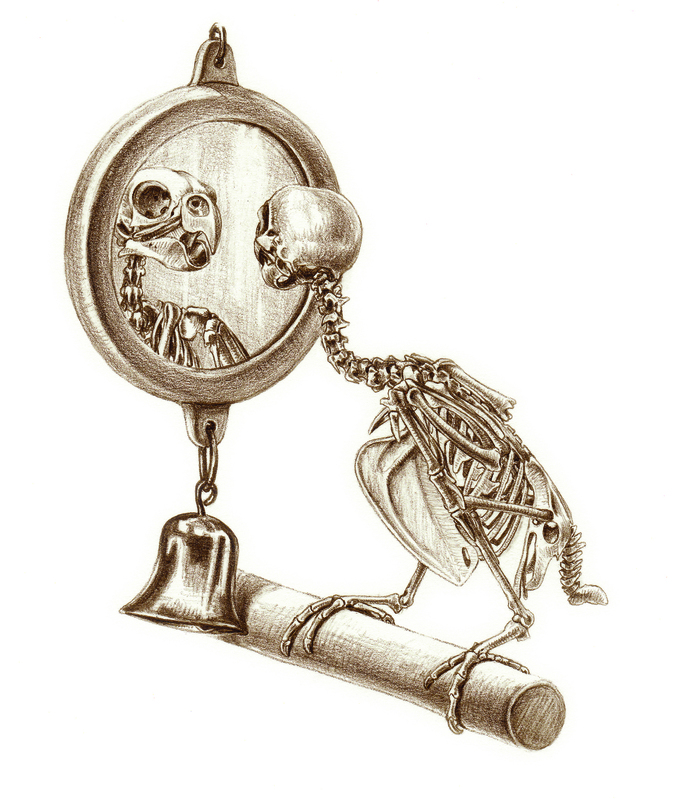 Almost all of the illustrations (except some paintings in the style of the cover) are in the same brownish sketch style that, like much of the book, evokes a bygone era of dark wooden cabinets and shadowed halls packed with skeletons, with nary an interactive graphics display, animatronic dinosaur or hyperdetailed cladogram in sight. It feels like an homage to the Victorian naturalists’ joy for anatomical detail conveyed through painstakingly detailed woodcuts. And while many still think of feathers as “the defining feature of birds,” enough about feathers already. Seriously. This is a book is about what lies beneath, and how all that non-fluffy stuff is important for birds’ lives, too. 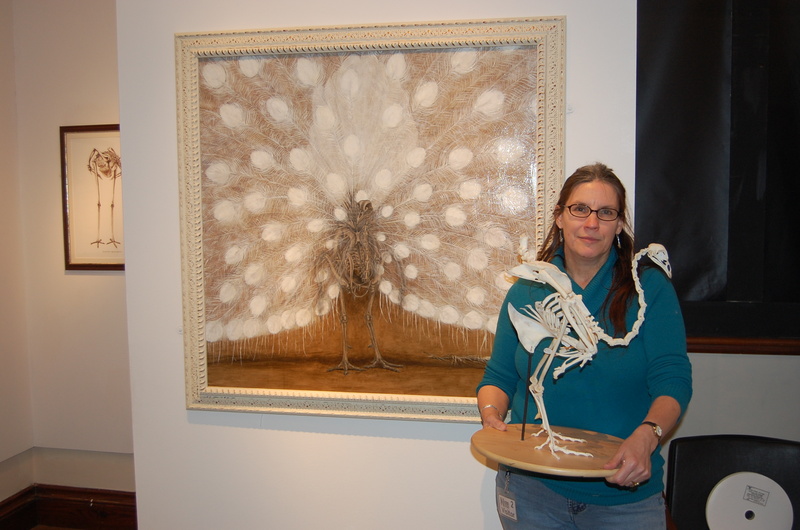 Katrina with front cover framed pic and the peacock skeleton that went with it. 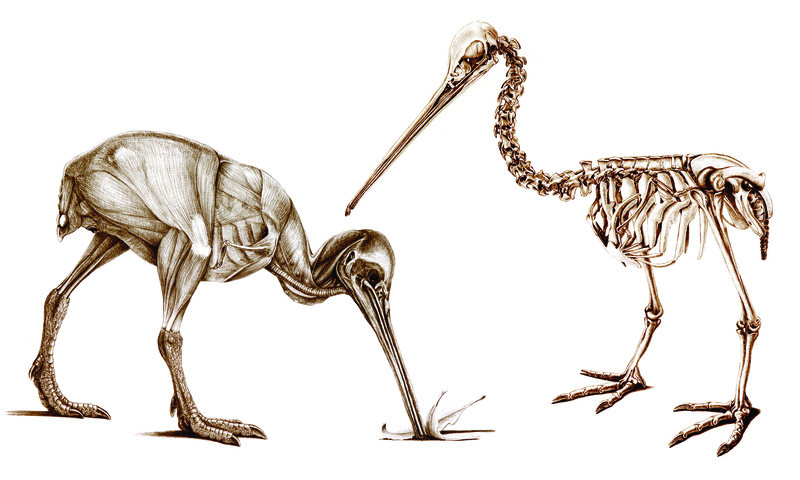 The Introduction continues to explain that the book is truly about how the external anatomy of birds is linked to the bony anatomy, which might remind astute readers of modern approaches like the extant phylogenetic bracket. The rest of the book uses both skeletal and unfeathered, quasi-myological illustrations to get this point across vividly. The explanatory text is written at a basic enough level for the average reader and is just the right length, with interesting anecdotes and natural history facts that even the expert reader will find interesting or even inspirational (e.g. possibly a goldmine for research ideas). 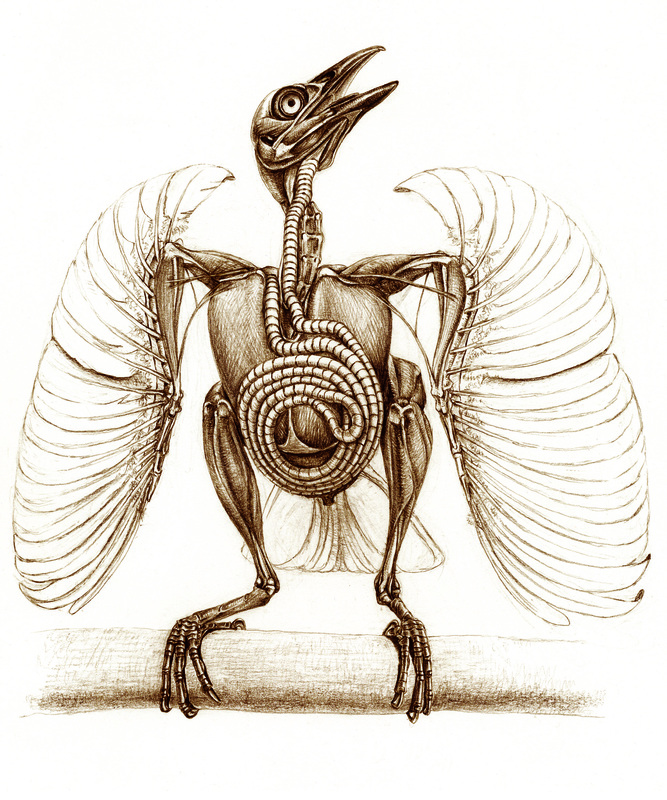 First there is a 26 page “Basic” section with an introduction to avian osteology, with bountiful sketches to illustrate key organs and text explaining how it all fits together in the fully accoutered bird. The decision to use classical Linnean taxonomy (defunct or re-arranged taxa from the Systema Naturae like Accipitres, Picae, Anseres, Grallae, Gallinae and Passeres; which are the six “Specific” chapters in the second section of the book) was a good one- it enhances the classical feel of the tome and gives the author a great opportunity to discuss convergent evolution and how that misled past ornithologists. 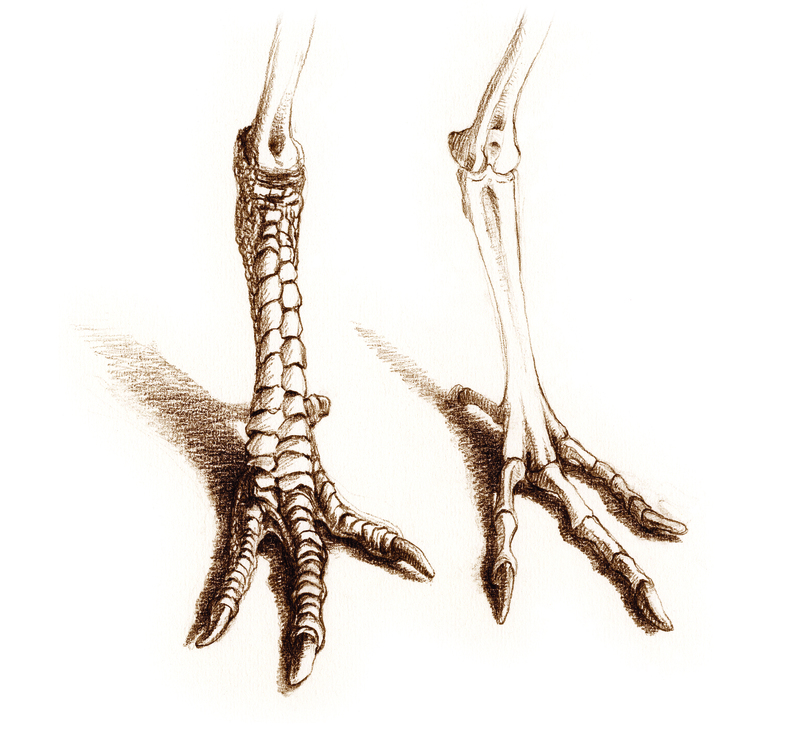 The unscaled bird: guineafowl feet. Deplumed sparrowhawk with dove trophy, exalting in its triumph. Budgerigar has made a friend? Or came to grips with its own mortality? Trumpet Manucode’s WTF anatomy! Spiraling tracheal coil made me gasp in awe when I saw this image in the book. Now I’ll depart from this post just being a book review. I went to the Tring collection to do some research, and arranged my trip so I’d also get to see the debut of a Tring special exhibit featuring The Unfeathered Bird, and also to meet Katrina as well as Hein van Grouw. The placement of the exhibit at Tring is apropos, because Katrina was a curator at the museum until a few years ago and Hein still is. 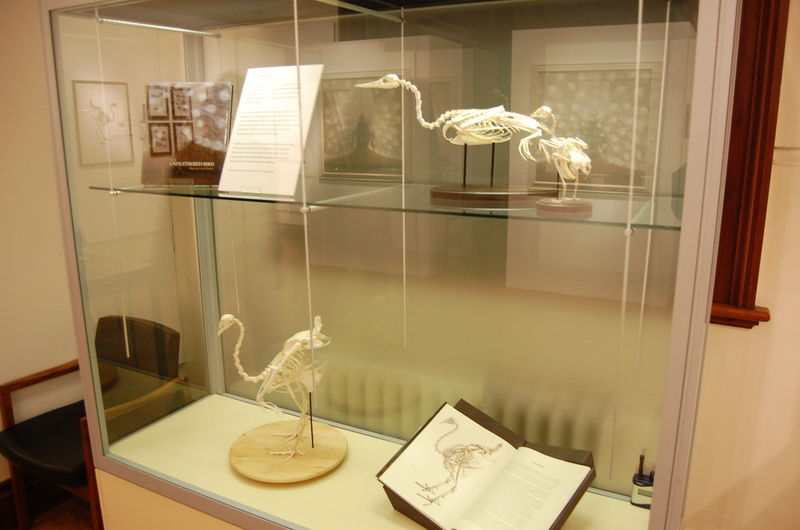 But the inspiration for the work and the specimens used (with a few exceptions, including from other museums) are Katrina’s. 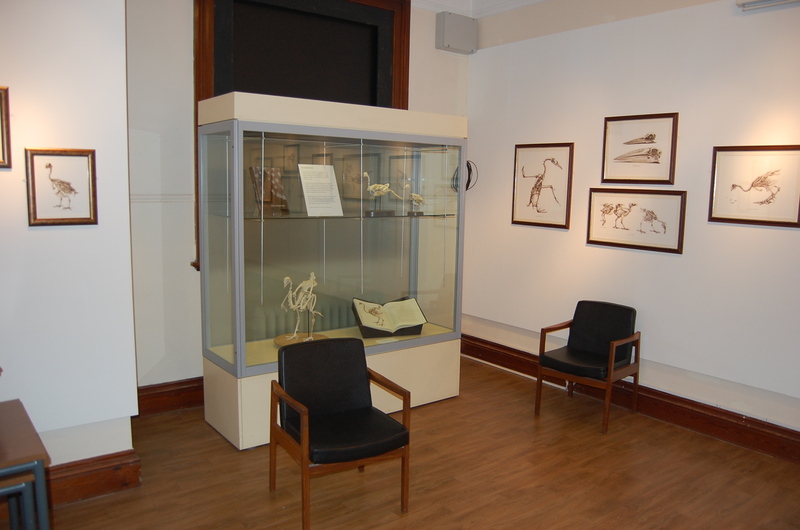 She (with Hein’s help) procured bodies of birds to dissect, macerate and sketch for the book over its 25 year fledging period, noting in the Acknowledgments that “no birds were harmed” to do this– do read those acknowledgments, as there are some amusing tales there of how she obtained some specimens. Poster advert for the book in the Tring collections. 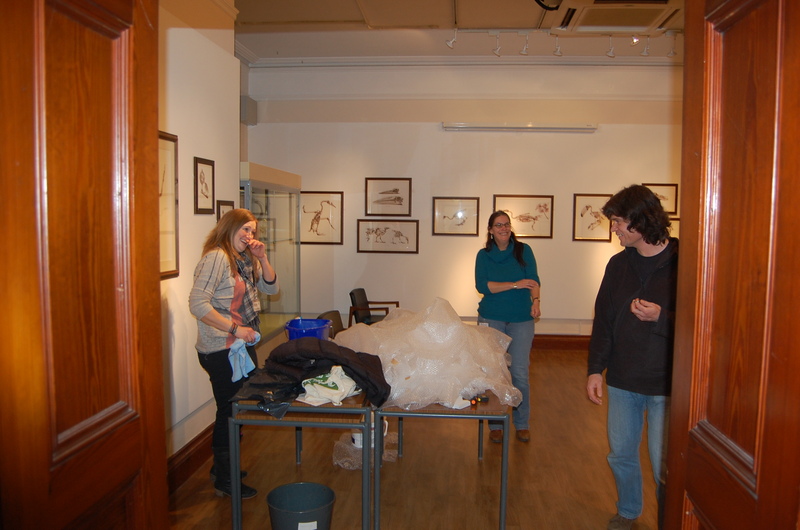 Tring exhibit setup, with Katrina, husband Hein, and helper finishing it up. 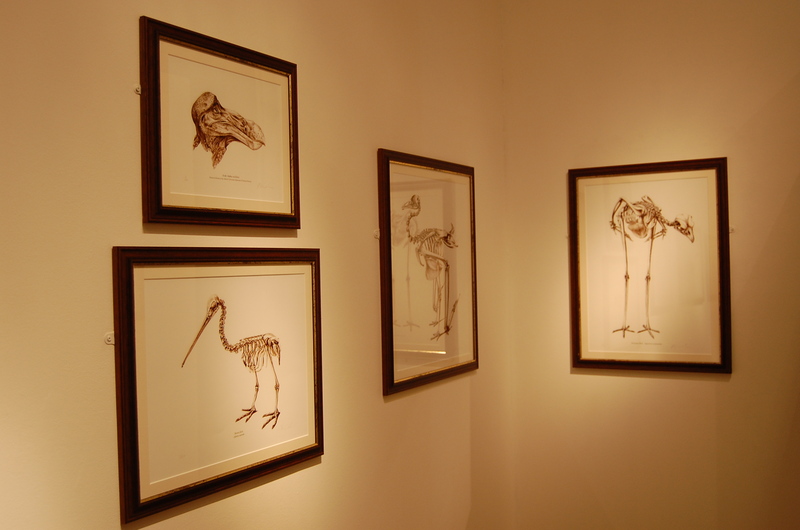 Framed sketches at Tring exhibit. 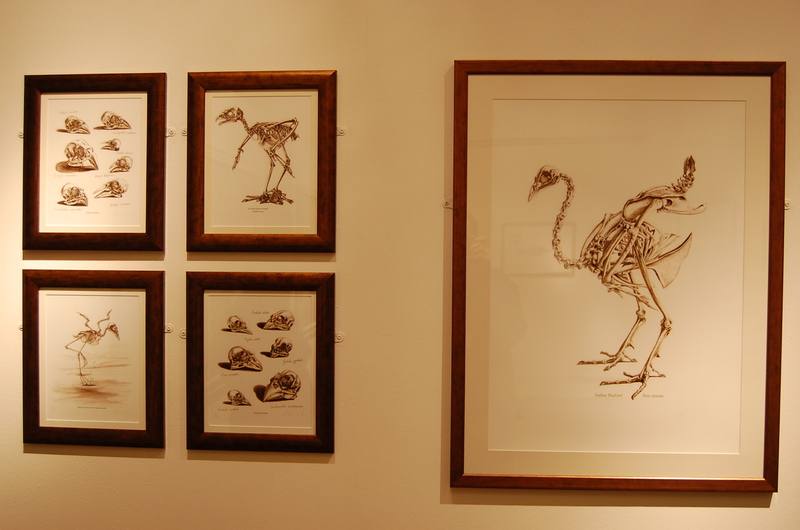 More framed sketches at Tring exhibit. 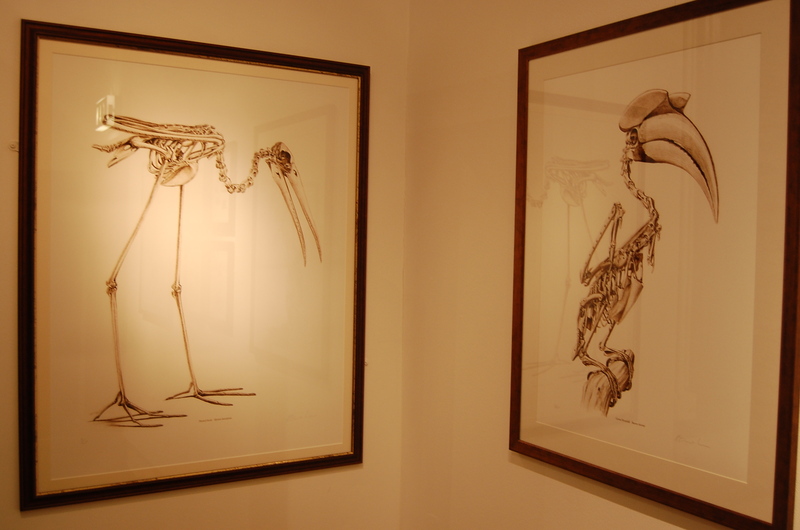 The exhibit is fun for people who are already Unfeathered Bird fans, and a good way of drawing in new ones. The book is a precious thing that any fan of birds, especially scientists, really needs to have a hard copy of. While it claims not to be an anatomy text, its illustrations provide ample opportunities to use it for that purpose. But really the point of owning all 287-plus pages is to bask in the warmth of true, pure appreciation for classic ornithology, which I found infectious. 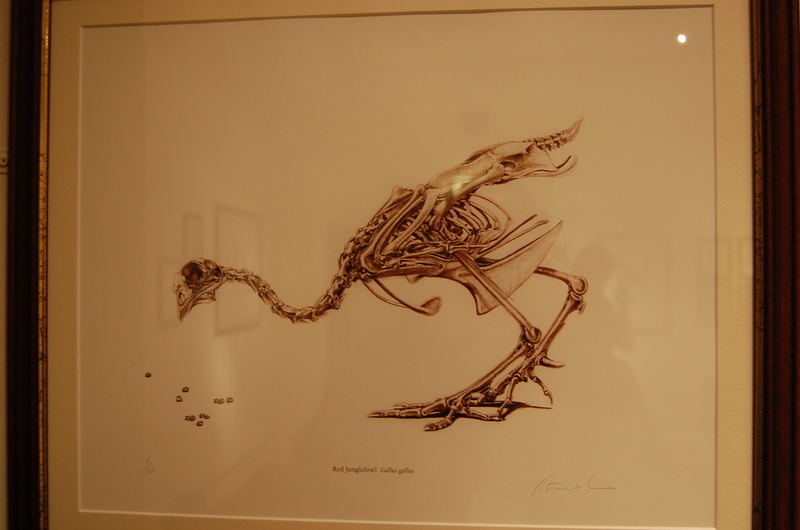 It is a book by and for bird lovers, but also for those that find the interface of art and science to be fascinating. I confess I used to hate birds. I found them annoying and boring; all that flitting and twitting and pretentious feathers. “Get over yourselves, already, and calm down too!” was my reaction to them. 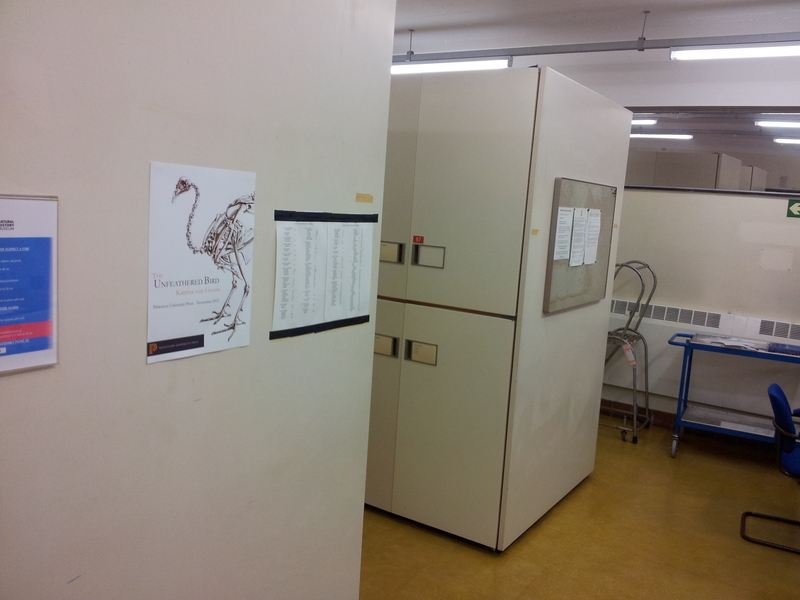 When I started grad school, I had an open disdain for birds, even moreso than for mammals (OK, except cats). I was a “herp” fan through and through, for most of my life (childhood spent catching anoles in Florida, or stalking frogs in Ohio; during visits to my grandparents). 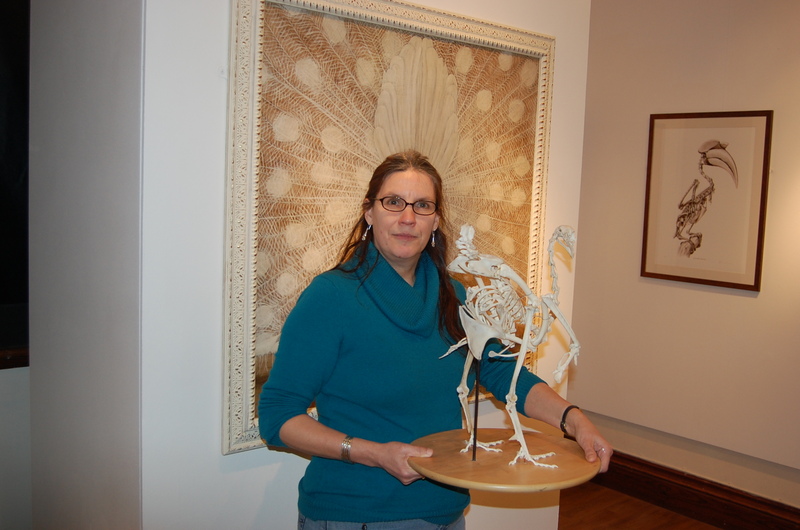 What won me over was studying birds (and eventually mammals, too) as a young scientist, and learning how incredible they are– not just as endpoints in the story of theropod dinosaur evolution, as my thesis focused on, but as amazing animals with spectacular form-function relationships. The Unfeathered Bird is saturated with that amazement, so we’re birds of an unfeather. 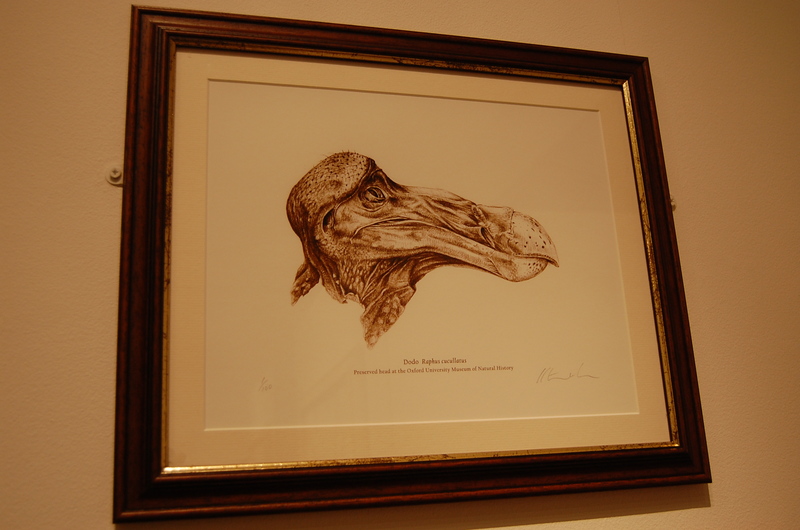 Framed sketch of dodo head at Tring exhibit. Entirely unfeathered Indian peafowl in matching views. Painted Stork and Great Hornbill sketches. Red junglefowl, wild ancestor of domestic chickens (and the book ends with several such breeds illustrated). Katrina told me that she is already deep into writing the next book, whose subject I won’t spoil for you here but maybe we will be lucky enough to have her appear in the Comments and plug it? 🙂 (Her website does say “It was Hein’s stroke of genius to include domestic birds and they’ve provided the inspiration for my next project.” so the cat is out of the bag and amongst the pigeons!) It is great to hear that the book has done quite well sales-wise and critically, such as ~#67 on the Amazon sales list at one point– I hope this paves the way for more such books not only from Katrina, but from others engaged in lateral thinking (and still others) on the boundaries of science-art. 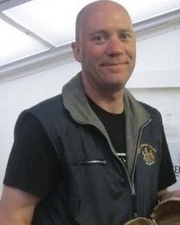 A hundred ‘likes’!! With exclamation marks!! Definitely looking forward to this book. On my wish list at the moment! Also, in the last set of images, isn’t that a Great Hornbill, not a Toco Toucan? Ack, yes, that’s right- Hornbill! I should have done more than glance at the thumbnail. on May 14, 2013 at 7:02 am | Reply A Chance Encounter with Darwin’s Chickens. And Cake. | What's In John's Freezer? What a wonderfully perverse idea for a bird book! – bird art being dominated by the affinity – practically a love affair – between the brush and the feather. Bit behind on my blog-reading/commenting, but I just wanted to say that I agree completely with the review. I bought the book after seeing the Trumpet Manucode pictures in a review elsewhere and being absolutely gobsmacked, both by the quality of the sketch and the bizarre anatomy! It’s a beautiful book – a real pleasure to read or simply goggle at the pics.